Stuart McVey gives his opinion on government spending, fiat money and taxation. The release of the current federal government’s budget created quite a stir in the media as the opposition hammered the level of spending and the government tries to defend it. In effect, both arguments are complete nonsense. The level of federal government spending is in no way financially constrained. 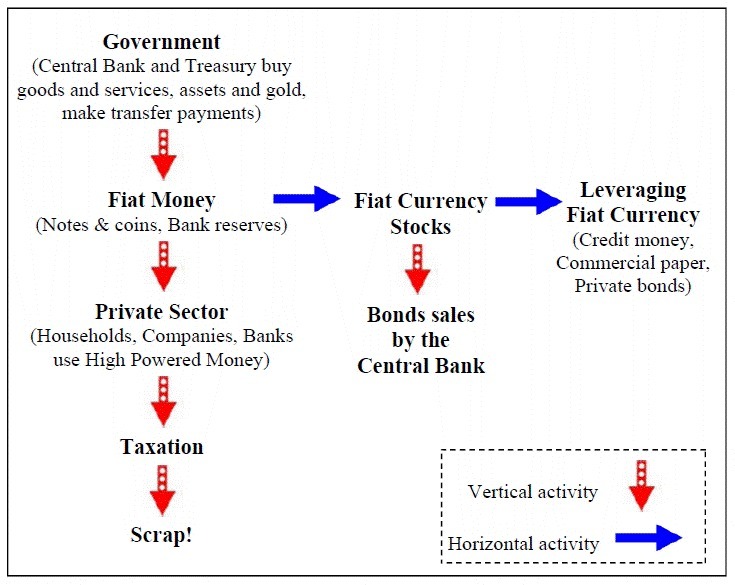 Fiat Currency by definition is money printed as a medium of exchange. Its value is not linked to that of gold or any finite resource. Essentially modern money in Australia is a tool used to exchange goods and services. The value of money therefore is directly related to the value of real economic transactions. The federal government is the sole supplier of Australian currency, which it must release to the private sector before it can be taxed. If the government sector must first spend money in the private sector to give the private sector the tool it needs to pay tax then by pure logic the government is not reliant on taxpayers for funding. We only pay taxation at a federal level to ensure the fiat money tool works! If you don’t pay your taxes in Australian dollars you are fined or imprisoned. This threat enforces compliance so all business and individuals in Australia demand payment in Australian dollars so they can meet their tax obligations. The fiat currency tool now works as everyone needs to trade in Australian dollars. If you look at Russia following the break-up of the Soviet Union you can see that poor tax policy led to the ruble even sometimes being replaced by vodka as the accepted medium of exchange. Looking at the simple concept of money we can see the arguments around the “government budget” are complete nonsense. If we, like the government, could print our own money we would certainly not worry about our private budgets. The government budget is purely an accounting record with no real economic significance. Fiat money is a tool. Think of the ancient Egyptians building a pyramid. If workers only receive one pick for every two workers the building of the pyramid will be slower than if every worker received a pick. If eventually every worker was given two picks when they could only use one, the usefulness of the picks and its value decreases. Thus money supply should be increased until the real economy reaches full employment. The fact that our government is not financially constrained and that there is legislation on open market operations (the interaction of bonds and reserves between the central and private sector banks) that regulates interest rates (the price of money) completely destroys the myth of government spending and associated debt. By understanding this we can see that when a government runs a budget surplus it essentially removes money that belongs to the private sector for economic transactions and simply throws it in the trash. Federal governments, both Labor and Liberal, have done this for years to the detriment of Australia. Yet we are told they are responsible economic managers on their portrayal of the system as something similar to a private sector account. We can see the results. Massive personal levels of debt and massive levels of underemployment continue to increase. The government fiddles the definition of unemployment to produce politically favourable statistics. A person who works one hour a week but who could work thirty eight is not fully employed in an economic sense even if statistically they are. The basis of both parties acting irresponsibly is neo-liberal economic policy, particularly on its concepts of inflations. An exposé on neo-liberalism economics will be done in another paper. Australian jobs should be protected by running a sensible fiscal policy with a focus on full employment rather than on neo-liberal policies. For further reading on this matter please visit the Centre of Full Employment and Equity (known as CofFEE) at http://e1.newcastle.edu.au/coffee/. It is Australia’s leading full employment policy centre. The leading publication for those interested in significant detail is “Full Employment Abandoned – Shifting Sands and Policy Failures” by William Mitchell and Joan Muysken. Just Google the title to obtain vendors nearest you.